We're definitely looking forward to Black Ops 4, and more! E3 is just a few days away, and game developers/publishers from all over the world are gearing up to debut their latest games. One of the major publishers at E3 this year is Activision, and they’ve got an exciting lineup of titles that attendees will be able to try out. After last year’s return to the 1940s in Call of Duty: WWII, Black Ops 4 is set in the future, and is a direct follow-up to Black Ops 3. 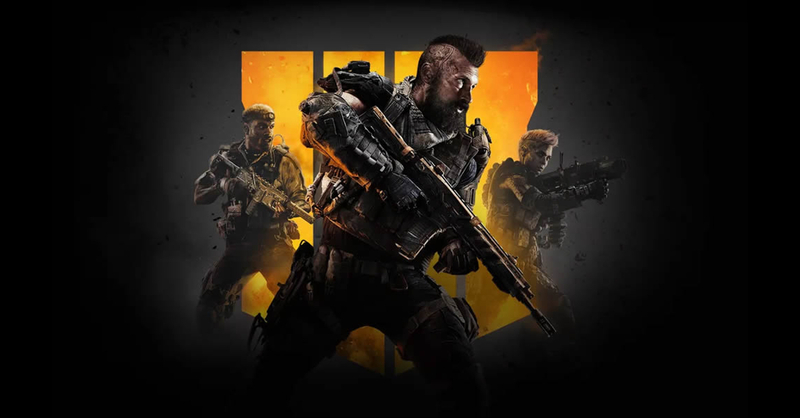 Though the fourth Black Ops game is the most notable entry to the franchise to date; Black Ops 4 has no Singleplayer campaign, and instead it will only offer Multiplayer, Zombies, and Blackout — a battle royale game mode (which is all the rage nowadays). Attendees of E3 2018 will be able to get a hands-on with the Black Ops 4 Multiplayer mode, which features the return of the Pick 10 class-building system of Black Ops II, along with improvements to weapon controls and combat flow. Call of Duty: Black Ops 4 will be released on October 12 for the PS4, Xbox One, and PC. Revealed just a few days ago, the upcoming Destiny 2: Forsaken expansion is looking to breathe new life into the game, as it introduces a ton of new features. Among them is Gambit, a new game mode that’s part PvP and part PvE. There’s also new supers, a new raid, and many more! Forsaken’s new Gambit game mode will be playable at the Activision booth at this year’s E3. Destiny 2: Forsaken will be released soon on PS4, Xbox One, and PC. Finally, Activision will feature playable levels of the upcoming Spyro: Reignited Trilogy. The game is a loving remake of the first three Spyro games, namely Spyro the Dragon, Spyro 2: Ripto’s Rage!, and Spyro: Year of the Dragon. It’s not an ordinary HD remaster though, as the games have been carefully remade to take advantage of current-gen hardware. Though Spyro fans need not worry, as the gameplay is very much the same as the past games. Activision’s lineup of games at E3 2018 will be playable at the Activisions booth #1001 in the South Hall. Black Ops 4 and Destiny 2: Forsaken demos will also be playable in the PlayStation booth #4322 in the West Hall. Next articleBattlefield V starts EA Play with a Look into its Single and Multiplayer Modes! Skyrim Gets a Remastered “Special Edition” and a Release Date!